Mince the shallot and fry it in olive oil. Add the garlic et the coriander. Place shrimps and cook on medium heat. Meanwhile, whisk the cream, with coriander and garlic. Add the Pastis, season and keep it in the refrigerator. 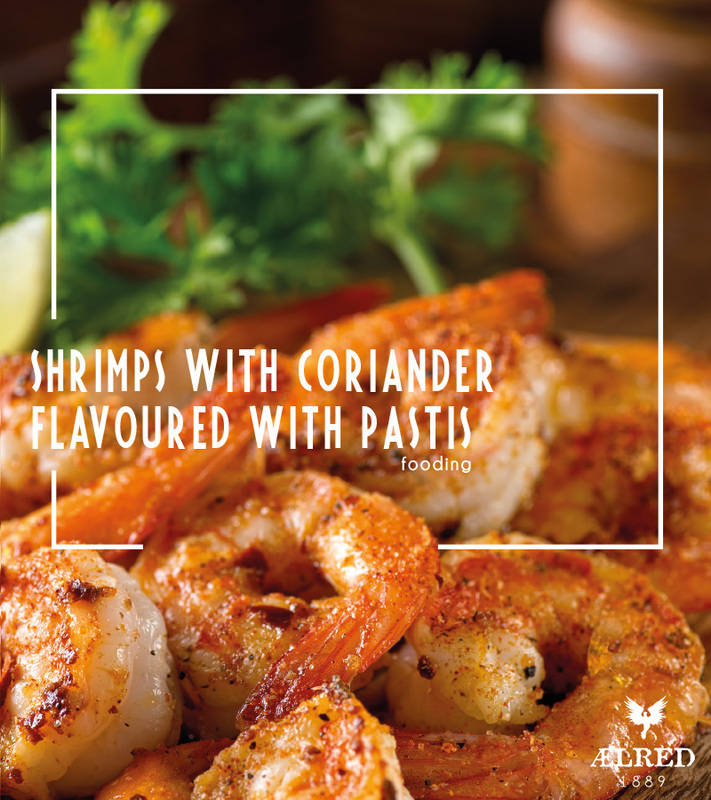 Pour some Pastis over the shrimps and flame it. Caramelize it for a few minutes. Serve immediatly with the mixture, potatoes or rice.